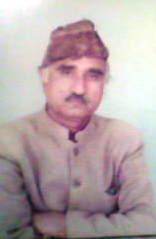 The Famous leader of Ridmalsar who was contested candidate in MLA election held in 1978 from Bikaner seat. he was also founder and chief editor of newspaper The VEERRIDMAL. जनाब अख्तर अली कोहरी का जन्म गाँव रिडमलसर बीकानेर में जनाब नूर खान कोहरी के घर में हुआ.आप पढाई में कड़ी मेहनत कर व्याख्याता (भूगोल) पद पर लोक सेवा योग अजमेर द्वारा चयनित हुए. उसके बाद आप दिनक 01.07.1986 से शिक्षा प्रसार अधिकारी .पद पर आसीन होने वाले गाँव में एकमात्र व्यक्ति है जो इस पद पर कार्य कर रहे है. 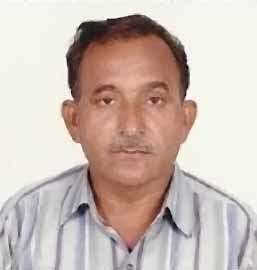 Mr Akhtar Ali Kohri was born at the house of Janab Noor khan Kohri in Ridmalsar village of Bikaner. He was selected a lecturer (Geography) by R.P.S.C Ajmer as he worked hard. Now he is only one of the village Ridmalsar who is working as an S.D.I. in Education Department since 01.07.1986.